Let’s Learn about the Campari Tomatoes (Plants, Seeds etc) - What is one of the reasons why we wait for summer? Of course it is the nice weather. And also the summer vacation. But do not tell me that you do not also miss the summer food. There are so many foods that are available only during the summer and tomato is among one of them. Well, of course we can get those canned tomatoes all through the other seasons, but do you really think that they can beat those sweet fresh tomatoes just harvested from the vines? Of course not. But on the other hand, there are so many types of tomatoes that it is almost impossible to choose the right one without knowing anything about the tomato varieties. Among those nicest ones is the Campari Tomatoes. 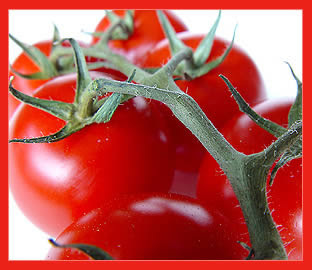 Not only that this type of tomato is delicious, they are also often used for diet purposes. To be able to identify the Campari Tomatoes, one will need to know the look of the fruit first. So how do the Campari Tomatoes look like? Well, they have the size of a golf ball, which is slightly smaller than the regular size for most tomatoes. But they are not the smallest ones as there are the cherry and grape tomatoes. In term of color, the Campari Tomatoes are red but not that regular red that you often find in tomatoes. Their red is slightly darker. This tomato is usually grown hydroponically. When these tomatoes are shipped to another area, they are usually shipped while still on their vines. This is to help preserve the tomatoes as when they are still on their vines, they will not release the ethylene gas. This gas will make them taste and look ripe. This tomato can be easily spotted among the other tomatoes as they have different size and color. Moreover, in the supermarkets, the Campari Tomatoes are often sold in clear plastic container, the similar container often used by the grape and cherry tomatoes. Each of the Campari tomato has 25 calories. These fruits contain no fat, no sodium and also no cholesterol. Making them perfect for the weight loss program. 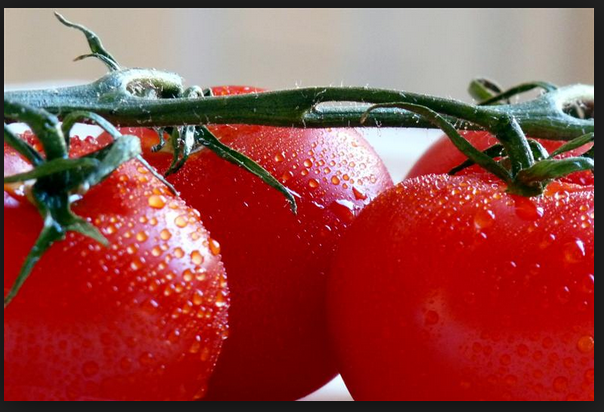 These small tomatoes have 5 grams of carbohydrates and an even lower sugar content of 3 grams. Moreover, they also have less than 1 gram of protein and also less than 1 gram of fiber. In addition, they have the lycopene, vitamin A and vitamin C that are beneficial for the human bodies.